Salar de Uyuni is the world’s largest salt flat – an enormous lake-like expanse with salt over 10 meters thick in the center and a series of fluorescent-coloured lakes resulting from mineral runoff from the surrounding mountains. In the dry season, the salt plains are a completely flat expanse of dry salt, but in the wet season, it is covered with a thin sheet of water that is still drivable. It is often visited as part of a 3 or 4 day tour of South West Bolivia. Built out of salt bricks and also featuring salt furniture, Palacio de Sal offers guests accommodation with free WiFi and a complimentary buffet breakfast in Potosí. Average score from 118 guest reviews: 8.5/10. This place is a very cool and unique experience! The hotel is beautiful, the staff are lovely, the food is delicious, plus you can't beat the experience! The rooms were full of character and the staff couldn't do enough to help us. The extra games rooms, sitting rooms and sitting areas were gorgeous and well maintained. Excellent place to wind down after our 4 day trip through the desert and salt flats. The staff were extremely helpful at this hotel. I was very sick during my stay unfortunately, but the staff went out of their way to see that I was ok. The facilities and cleanliness of this hotel is great. The bed was a little too hard for my liking, but its a personal preference. Stunning hotel in a stunning place. We thoroughly recommend staying here. The hotel is in the middle of the salt flats and its decor is very nice, all made out of salt. 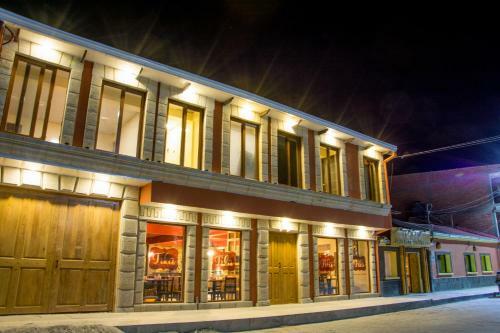 Located 200 metres from FCA train station, Le Ciel D'Uyuni offers free Wi-Fi in Uyuni. Free continental breakfast buffet is also available. Rooms at Le Ciel D'Uyuni have a seating area, cable TV, and a private bathroom. Average score from 306 guest reviews: 7.3/10. Good location. Close to the bus terminal (5 minute walk), salt flat tour companies (1 minute walk to Red Planet office) and restaurants. Close to ATMs and beds are very comfortable. Common area was great, beds were comfy, rooms were of good size, breakfast buffet was good but 25BOB extra per person, staff were friendly and helpful and stored our stuff while out on tour. Good location from bus and train stations. Very clean and comfortable hostel with bright airy rooms which wRmed up during the day. The location, the room and hotel were modern and comfortable, the staff were good, the breakfast complete, the hot water. Single room was clean and comfortable and staff were nice. I was only there for one night and it was quiet in a good way. Very helpful staff. Close to many restaurants and travel agencies. Overall, very comfortable. Staff is always smile and helpful even though they only speak Spanish. Set in Uyuni's city centre, Hotel de Sal Casa Andina offers accommodation with free WiFi and free private parking on site. Guests can enjoy the on-site restaurant and room service is available. Average score from 231 guest reviews: 9.3/10. Amazing hotel in uyuni. Staff was very friendly and kind . Really appreciated for the honeymoon surprise... room's very spacious clean and exactly same with Booking.com photo. It was quite during night. Strongly recommend!!!!!! The room is spacious and clean. The owners are very helpful and friendly and gave me very good recommendations on local tour agencies, bus companies and restaurants. Very good value for money. Very very kind and competent owners! We could leave our motorcycles inclusive baggage safe in.the hotel while we were on tour! The owner is very helpful and kindly. Food ,hot water,bed are just great! excellect stay. good breakfast with fresh orange juice. Amazing staff, beautiful facility at a great price. Special design, made by salt. Clean and white duvet cover and towel. Very kind staff! This hotel was fantastic and very unique. Everything is made out of salt so it's a lot of fun, but it's also very beautiful inside. As a bonus, the front desk was extraordinarily helpful in providing information to go on the Uyuni salt tours. If I go back, I will definitely stay at this place again. The staff at Casa Andina were fantastic, from helping us sort out wifi, to organising breakfast for us at 6am to driving all the way to the airport to return a couple of items we'd forgotten in our early morning haze. The hotel is newly renovated and extremely comfortable. English movies, a cosy bed and a hot shower - exactly what we needed after 4 days exploring southern Bolivia! Featuring free WiFi and a terrace, Tambo Aymara offers accommodation in Uyuni. Private parking is available on site. The rooms are fitted with a private bathroom. You will find a 24-hour front desk at the property. Average score from 27 guest reviews: 7.7/10. Nothing much. 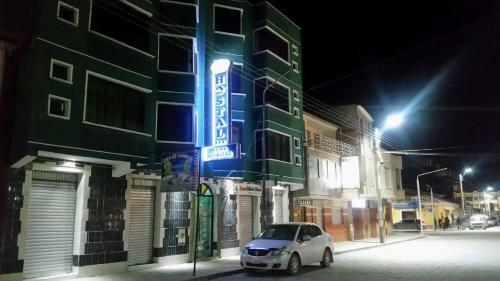 Considering Uyuni town is small and poor, the sanitation level is reasonable and they do have conscious of mind to install 2 heaters in the room. El hotel es muy bonito, de estilo campo. 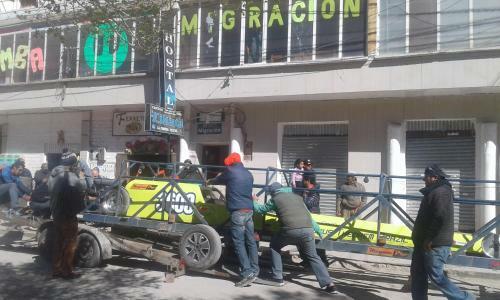 Está a pocas cuadras de la terminal de buses, y del centro de la ciudad. Tiene dos pisos con habitaciones, una recepción, un comedor y un patio con mesas rústicas. La habitación tenía una cama grande y cómoda. El baño era amplio con ducha. El desayuno es muy completo, con cereales, frutas, fiambres e infusiones. Spitzen Frühstück, sehr hübsche Zimmer und Einrichtung allgemein. Nettes rustikales Hotel. Früheres Checkin war kein Problem. Super vriendelijk personeel. Fijn contact met Belgische eigenares die toen aanwezig was. O frio do Uyuni não é brincadeira, mas a cama com cobertores grandes deu conta. É um bom hotel de maneira geral, mas um pouco caro pelo que oferece. Almost completely built out of salt blocks, Hotel de Sal Luna Salada offers rooms with overlooking the Uyuni salt mine. Breakfast is served and there is a restaurant. Uyuni town is 30 minutes away by car. Free WiFi is available in common areas. Average score from 609 guest reviews: 8.4/10. Fantastic hotel at the end of a track by the salt fields outside Cochane village. 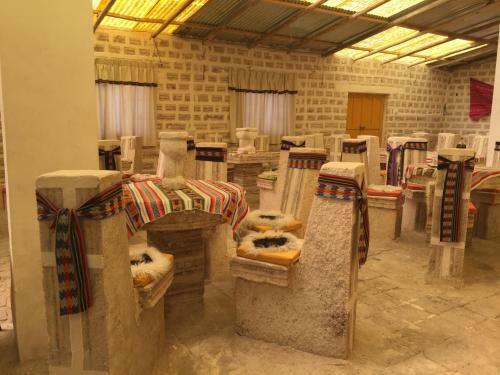 Very tastefully decorated, artistic, stylish and comfortable hotel made almost entirely out of salt blocks. Situated at the top of a low hill, it offered excellent views in all directions. The staff were exceptional. Professional, smiling and courtious. Always willing to attend to the needs of the guests. Took a tour out to the salt fields and were treated very well, both by the guy in the lobby, as well as the sweet driver/guide who attended to all our needs. 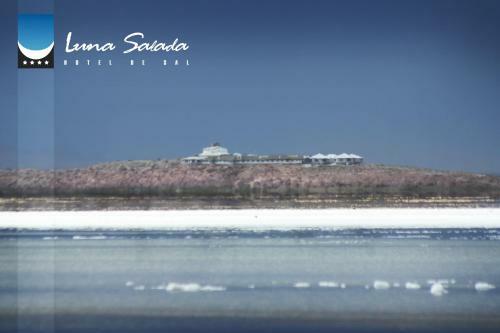 An amazing hotel in the middle of the salar. After a three day tour this is the perfect place to relaxe. Great food. Great place. Great room! Wonderful surroundings and very helpful and friendly staff, we ended up staying an extra night! Tour package was incredible and tour guide went out of his way to make it a breathtaking experience for my boyfriend and I. Everything. Good breakfast. A relief after the 3 day tour. 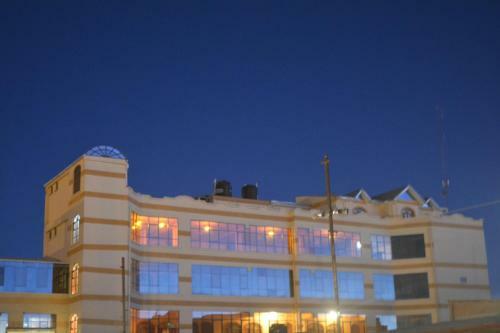 Fantastic hotel with excellent position in front of the Salar of Uyuni. We have been upgraded in Deluxe room. Great! Excellent breakfast with international and local food. Friendly staff. The interior decoration is beautiful, the hotel is cosy and the view of the salar is oncredible. You can walk to the salar in 30ish minutes. The food is very good (especially for it being in the middle of the desert). There is a spa with free access to the jaccuzzi and sauna. The rooms are very cheap. The service of the hotel staff was excellent. The food served and presented was well above average. 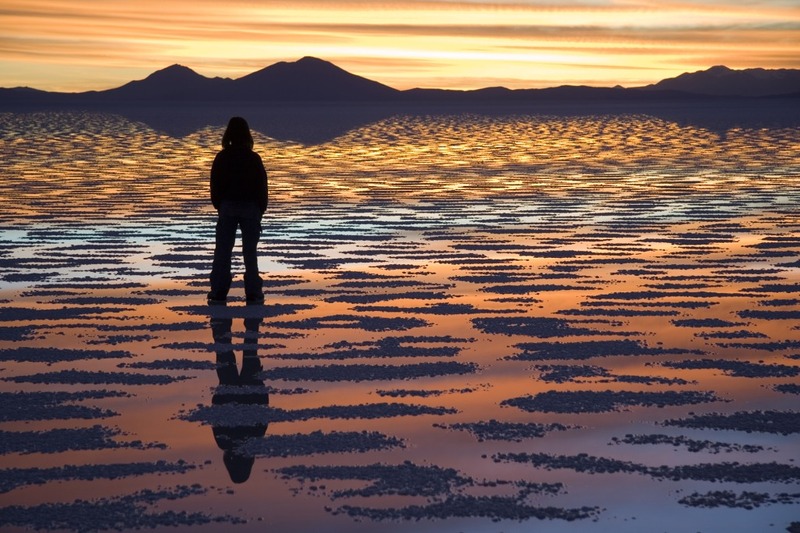 See all hotels in Salar de Uyuni. Onkel Inn Wagon Sleepbox Uyuni offers accommodation in Uyuni. All rooms have a flat-screen TV with cable channels. Onkel Inn Wagon Sleepbox Uyuni features free WiFi throughout the property. There is a 24-hour front desk at the property. Average score from 207 guest reviews: 8.0/10. Friendly staff and good breakfast. Center of town and close to everything. 1. Comfortable and clean hotel which is hard to find in bolivia. and interior design looks really modern and good. 2. Kind Staff, they didn't speak english well but I could see that they're trying to understand and it worked everytime. they're always very helpful. 3. Decent Breakfast. I did early check-in, they offered breakfast if I pay, comparing to nearby restaurants it was really good! and the most important thing is that it looked clean and fresh! For a place just to sleep, it is super! It's clean and has enough lamps, electrical receptacles, etc for several people. Everything about this place. Super clean, the staffs are so friendly and helpful. We have some problem with the tour company in Uyuni and they were so helpful to be our translator. We stay here for 3nights, hot shower all the day which is good. Although the hotel is inside the train station but still very quiet at night. Will definitely recommend to everyone who plan to come Uyuni. Great place to stay when you're arriving to Uyuni in the middle of the night. Very small rooms but clean and more than enough for half the night. Bathroom was shared but also clean. Breakfast was very good. Its really nice place to stay!!!!! Staff is so kind. This is unique hotel liking as TREN HOTEL, so lovely. And, here is very comfortable, temperate, clean..... and you can see TREN!!! Absolutely fantastic location- in the train station! So no need to walk very far, and on the main road so most tour operators nearby. Tiny room but all facilities provided and privacy! (Would be no good for people who suffer from claustrophobia). Flat screen tv, sockets, clean, shelves and just what you need for a short stay. Luis (the man who booked me in) was so lovely as well. Went out of his way to ensure i had everything I needed. The breakfast really was wonderful- eggs how you like, cereals, toast, spreads, yoghurts and juices. 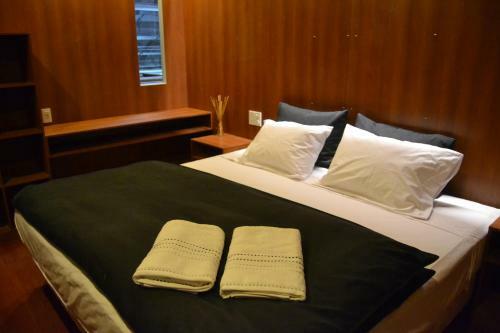 Super friendly staff, modern rooms, perfect location inside the train station. Hot room, hot shower, the staff was friendly, and breakfast was great. It has the feel of sleeping in a train without the noise. BOOK THIS HOTEL NOWSee all hotels in Salar de Uyuni. 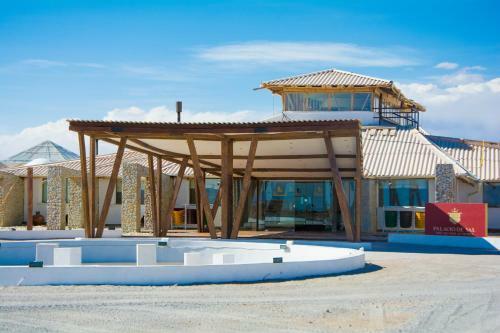 Featuring a spacious terrace, Salcay offers accommodation in Uyuni. The property includes a 24-hour front desk and free WiFi access. Guests are served a complimentary buffet breakfast daily. Average score from 333 guest reviews: 7.6/10. The location is great, the tour companies and bus stop are all within walking distance, easy to get to anywhere, also the room is nice and clear, they have hot water which is really important at night (it can get really cold). The hostel owner and his daughter are friendly and nice, they tried their best to help me and their breakfast is nice too, good value for money. The service was amazing. The hosts were very nice and welcoming. They provided us late night snacks and woke us up in the morning for breakfast. I loved their welcoming gratitude and attitude. Also the rooms are amazingly modern and clean. Nice place, good sized room and good water pressure and hot water in the shower. Nice clean room. Had heater in room so I could set the temperature myself. Good location. Nice breakfast. in the center great hot shower 24h good buffet breakfast, incredibly good for bolivia: milk, coffee, the, mathe, bread, butter, marmalade, ham, fruit, cereal, yogurt, crackers, juice. Good breakfast. A heater in the room and hot water. Fine place to spend 1-2 nights. The receptionist was incredibly helpful and kind. Hotel is really relaxed and flexible. We checked in at 7am and they allowed us to use a room temporarily then changed it to our own. Shower was really nice and hot. Breakfast was excellent. One of the cleanest hotels I've stayed on my trip. Cheapest place we could find in town on booking.com. Sure you could find cheaper if you just rocked up and looked around. We were happy to pay it as we were only there for a night. Had a nice room with a good hot shower. Buffet breakfast is very good with lots of fruit and fruit loops! The staff is very friendly and attentive, it is located in the heart of Uyuni and very close to all the atractives the town has. I recommend highly Salcay hotel. Boasting a restaurant and a terrace, Hostal Castillo de Liliana offers accommodation in with free WiFi access in Uyuni. The guest house has barbecue facilities, and guests can enjoy a drink at the bar. A daily breakfast is served. Average score from 810 guest reviews: 7.4/10. Good location. Very clean rooms and a great breakfast. Showers are hotter in the evenings ;) No heating in the rooms which is standard in Uyuni but the beds have plenty of blankets. Staff are very helpful. We arrived early in the cold morning, but they let us in the room! A hot shower and a lot of blankets kept us warm! Nice service and nice breakfast. Nice place to stay one night! The location was good, the staff were great, breakfast was delicious (though try to get there early) and our room was nice. Wonderful hot shower too! The bloke at the front desk was really lovely and so was his family. It was quiet. The bedroom was big, bathroom had hot water! Breakfast had eggs, bread, fruit, jam, coffee and tea, was delicious. Great location for the bus terminal, less than 5 minutes walk. Nice and quiet. I was there in late March/early April, and although it was a little chilly at night in the room (which I had expected - Uyuni is cold at night!) the bedding was really warm, so I had no problems sleeping. Shower was hot, even if the bathroom was in need of a bit of a renovation. Toiletries provided, which was great. The breakfast was one of the best I've had in South America: fresh fruit, breads, crackers, scrambled eggs, yoghurt, fresh juice, and plenty of everything. The guy who runs it was helpful too. Excellent wifi. Decent location near everything you would need in uyuni! It was in good repair and for the most part was clean. Owner/manager spoke good english as well! There is a shared kitchen which is useful though it wasnt as clean as other parts of the hostel but it is also the hardest part to keep clean to be fair! The room is basic but quite comfortable though my wife said the bed was too hard for her but people have different preferences for these things! WiFi was good for bolivia and the shower was also good though like much of uyuni drainage problems mean water coming up through the drain on the bathroom floor copiously! Don't leave your clothes near it - trust me!! Breakfast was very good actually - lots of scrambled egg!! Uyuni is frankly not a place you go for it's aesthetic appeal but because of the salt flats accommodation is a minefield there and for a couple of days for a reasonable price if on a semi strict budget this is a good place to stay! Featuring free WiFi access, a complimentary buffet breakfast and offering a restaurant, Hostal "Oro Blanco" provides accommodations in Uyuni. Free public parking is available outside the property. Average score from 822 guest reviews: 7.1/10. Very clean for Bolivia standards. Nice cozy rooms. The buffet breakfast was amazing! Bread, toast and a toaster, marmelade, butter, fruits, cereals, yoghurt, coffee, tea, hot chocolate,egg... Good start for the day! Room was compfortable, clean and cozy. Location is ok, in the center of the town. When we arrived in the middle of the night we woke up the receptionist, he was waiting for us on the couch. :) Room was ok, wifi working, hot water was warm enough. Really good buffet breakfast. Staff were very nice, helpful and welcoming. Breakfast was very good - a good selection for a buffet, fresh orange juice and eggs! We were leaving at 4am and the owner made us take away breakfasts so we wouldn't miss out and let us use the kitchen when we arrive back after all the restaurants had shut. After reading the reviews, I was bracing myself for horror, so was hugely pleasantly surprised to find a wonderful large clean room with big windows, heaps of light, and power points galore, the wifi works, the bathroom is great, the hotel is warm but there is an electric bar heater if you need, the guy who runs the place, Jose, speaks fluent English and is very friendly and helpful. After suffering so many terrible places in South America I can say this is a place where you can actually feel comfortable, rather than just tolerating it for a night... recommended! My flight was terribly delayed so I arrived Uyuni at around 11 pm. They organized a pick-up and provided me with a heater to use in the room. Breakfast was great! I also deposited my luggage there for two days for free. They were warm and kind...Highly recommended! 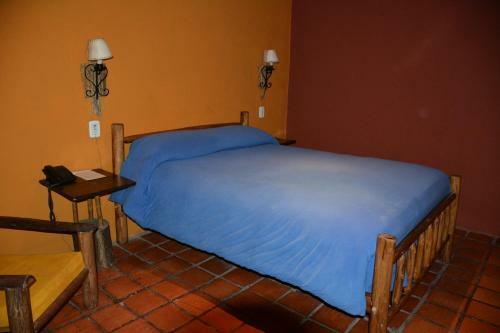 Located in the town centre, Marjor Hostal offers accomodations in Uyuni. Free WiFi access is available and guests are served a complimentary breakfast. Rooms here are fitted either with shared or private bathroom facilities. Bed linen is provided. Average score from 161 guest reviews: 6.9/10. Breakfast was very good and plentiful! The location was great - easy walking distance to restaurants, the bus terminal, and many tour companies. Room was decently large and contained an extra table and chairs to use. The owner even found us another room to rest in prior to our tour since our room wasn't ready yet - very kind and helpful hosts! 6:30am check-in - so I was able to drop my bags, shower and have breakfast straight off the overnight bus, without paying for an extra night. Really good value for money (albeit at half price). Walking distance from the Train Cemetery. Rooms were clean, thick blankets on the bed. Hot water showers worked well. Central location and close to bus terminal. After 4 days of 4x4 in the desert and accomodation where beds where not that good it was a good idea to rest in Uyuni. The hostel is downtown and 5 minutes from the bus station. It was near restaurants and the train and bus stations. The staff were nice but sometimes don't know what information to give you. Conveniently located 150 metres from the train station, Residencial La Cabaña offers accommodations in Uyuni. Free WiFi access is available and guests are served a daily complimentary breakfast. Average score from 180 guest reviews: 6.1/10. Comfortable beds and friendly staff. Excellent location close to the various tour agencies that can take you to the salt flats (pictures). The rooms are simple and a bit chilly and not very sound insulated. Shared bathrooms lack toilet paper but are clean. Nice hot showers. You get what you pay for. Location was good, good for overnight stay in Uyuni, Shared bath and toilet were in good condition. Breakfast was reasonable for the price, included in room rate. Location. Heater in room. Heavy blankets. Hot shower. It's incredibly cheap, so it's hard to complain about most things. The location is good, but so is every other hostel's. Brekkie was ok, location is good like all the other places in the little town. Went with Star Life for the salt flat tour they were amazing!! The location is good. Uyuni is not big but this place was close to the main square and market and the busterminal is only two blocks away. Breakfast is fine. I met some other great travelers at the reception, and we could communicate in the breakfast room as the communal room when it was open. I emailed the hostel a few times before and they were always quick to reply. A small portion of scrambled eggs came with the bread for brekky, with juice and coffee. Noting, too expensive.... Don't book by internet. Offering a tranquil location yet located only a 3-minute drive from the town centre, Cilos Hotel offers accommodations in Uyuni. Free WiFi access is available and guests are served a daily complimentary breakfast. Average score from 247 guest reviews: 6.1/10. the dog, it walk together with me to the reception area when I arrived. Good price for comfy, clean private room with ensuite bathroom. Breakfast was nice. Hostel isn't directly downtown on the main strip but it's a small city, took us about 15 mins walking to reach the center. Cabs are also cheap to and from. Hot water is restricted to certain hours but it worked very well during those times. Breakfast was great, everything clean and comfortable. We needed to change our booking last minute and the girl in reception was more than helpful! Staff is very kind and helpful. Young lady cannot speak English, so I had a very hard time to communicate with her (of course it's not her fault, I should study Spanish before traveling there...) , but she tried her best to help us. Breakfast was included. It was good enough. A short walk from the bus station and main square (as is everything in Uyuni!) The staff are helpful and let us check in early when our bus arrived earlier than expected. Rooms and bathrooms very clean. Wifi very good and stretched to our bedroom. Nice breakfast (a little bit of scrambled egg, yoghurt, bread roll, piece of fruit, cereal and tea/coffee/mate). Showers powerful and hot - just make sure you use within the designated times specified at reception. Good and affordable laundry service. This was the best price available in Uyuni. For what we paid it was certainly worth it. Wifi and cable TV worked well. Would stay again if I came back to Uyuni. Good breakfast, comfortable bed, nice people. Hotel area is locked during the night, which makes you feel more safely. Seemed new, beds and shower were fine and the breakfast satisfactory. Staff were helpful. Featuring free WiFi and a restaurant, Las Tholas Hotel offers pet-friendly accommodation in Uyuni. Guests can enjoy the on-site restaurant. Free private parking is available on site. Each room is fitted with a flat-screen TV with cable channels. Average score from 43 guest reviews: 8.6/10. The woman who owns the hotel went out of her way to make sure I was comfortable. I was there for a one night stop over between Atacama and an Uyuni tour and needed to wash and dry all my warm clothes overnight. The owner let me use her clothesline so everything was dry in the morning. She also made eggs in the morning to go along with the great breakfast. Highly recommended! Owner and all staff friendly and very helpful; comfortable beds, possibility for heating, very good breakfast. During 3 weeksholiday we lived in 13 places - Las Tholas was one of 2 best! Quite clean for uyuni the town isn't the nicest but the staff were very friendly such a nice family that runs the joint do recommend staying here if ur going to the salt lakes they also washed and ironed out washing it was a massive plus after a 4 day salts tour! Patio was okay. Good beds.Breakfast okayish but bread not fresh. Conforto e atendimento, Roby, seu proprietário não mede esforços para lhe atender e fazer você se sentir em casa. Muy buena atención, muy buen desayuno, habitaciones cómodas. Muy lindo el patio para sentarse a descansar. Había agua caliente, WiFi y los dormitorios son limpios y ordenados con todas las comodidades. Featuring free WiFi access and a complimentary buffet breakfast, Hotel Jumari offers accommodations in Uyuni. Average score from 874 guest reviews: 8.4/10. 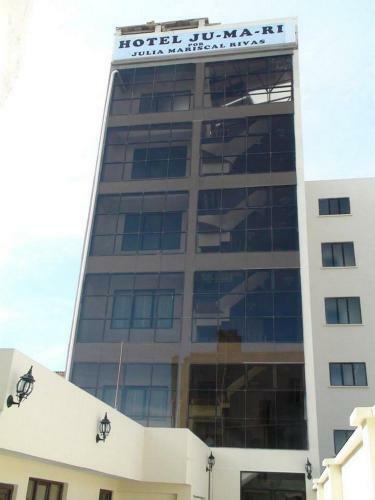 Excellent location: about 3 min walking to Uyuni tower and restaurants and shops nearby. Very good cleaning rooms with super clean bathrooms. Hot water readily available. Staff were very accommodating, earlier breakfast provided to allow early drive to airport. Highly recommended for travelers into Uyuni. Comfy room. Had a radiator that kept me warm at night. VERY friendly staffs. Amazing breakfast. Best wifi during my trip in Peru and Bolivia. Good bed. Good wifi. Very clean. Good hit water. Kindly staff. Staff is helpful and can speak English well. Location is at the center of the town. The room is big and comfortable. Very clean, excellent breakfast, friendly staff, hot shower. Good location. Everything perfect. I want to come back again. The owner is really nice, speaks English well and helps us a lot!! Comfortable rooms, good breakfast. This place was of a much higher standard than a lot of the places I stayed in South America. Had HBO too in case you're planning a relaxed evening before hitting the salt flats. 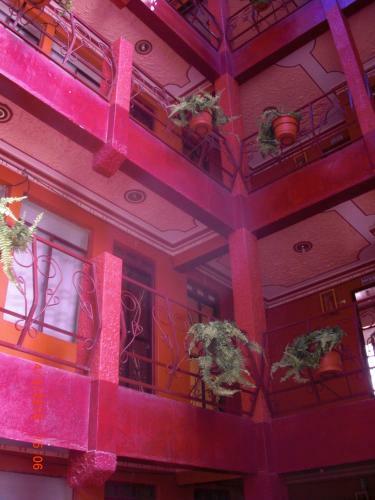 Featuring free WiFi access, Hostal Reina del Salar offers accommodations in the town centre of Uyuni. A daily complimentary breakfast is served. Average score from 521 guest reviews: 8.3/10. It is hard to find a place in Uyuni which is reasonably priced as well as good. However, this Hostel/hotel is just that. The rooms are nice and clean, the towels we were given actually smelt nice - first time since travelling South America! The beds were comfortable and the breakfast is more than adequate. I left my phone charger before my 3 day trip to the salt flats and was really pleased that the staff kept it safe for me. Everything was good. The streets are close to the square and the tour companies, and the distance from the restaurants is great. The reception and all the staff at the hotel were friendly, caring and comfortable. I used a double room, it was clean and comfortable, the hot water and WiFi were great. At night, we were locked in the hotel door and worried about security. I asked a taxi to the airport on the day I left, but the manager took me to the airport by car. Everything was fun and happy. We arrived at 2am (late train) and they were really lovely, gave us our room without signing in, carried the bags. Kept our bags all day without any hassle. Really close to both the bus station and the train station - right in the centre of town. Excellent personal service. Will be telling all our Irish friends to come and stay! Awesome for a stopover, very comfy rooms, good wifi, amazing breakfast! Very clean place with helpful staff, centrally located and amazing value for how much you are paying. Friendly, helpful staff - we arrived at 5.45am on an overnight bus. The hostel was full but we could stay on the couches, shower and have breakfast before leaving on the salt flats tour. Comfortable beds, big clean room, good hot showers and a plentiful breakfast- papaya, watermelon, bananas, cereal, eggs, toast, crackers, yoghurt, juice. Best hostel in Uyuni! Clean, friendly, spacious room, good Wi-Fi, baggage could be stored during our Uyuni tour, top breakfast, early check-in was no problem. Featuring free WiFi access in common areas, Tonito Hotel offers accommodations in Uyuni. Guests are served a complimentary breakfast daily. Rooms here are all fitted with a TV with cable channels and a private bathroom with free toiletries. Average score from 188 guest reviews: 7.8/10. If you are going on the 3 day or more trek, you should definitely treat yourself before or after by staying here. Bed is super comfortable and breakfast is awesome. Very nice staff. The room is very clean and comfortable, wifi works well, and there's hot water all the time. The restaurant inside the hotel is really good, highly recommend! Great hotel, comfortable, warm, secure. Good breakfast. Unique experience in a salt hotel, with big rooms and lovely bathrooms. Very helpful staff. Friendly staff, great service, great breakfast, excellent pizza at the on site restaurant, heaters in the room (not super common), plenty of hot water! English speaking front desk staff were in short supply, but maybe we should speak better Spanish! Food was fantastic - one of the best breakfasts we had during 3 months in sth america. So good we just had to book into Tonito again post our Salar trip. Great pizzas too. Very helpful staff on check in too. Heating in the room! Fantastic restaurant. Most comfortable memory foam mattress. Bagged breakfast on early departure. The pizza was fantastic. The atmosphere of the restaurant is intimate and warm. Uyuni is a remote location but the Tonito felt like home. Located 300 metres from the main square and central market, Hostal La Magia de Uyuni offers free Wi-Fi and breakfast in Uyuni. Computers are available for guest use and hot water is provided 24/7. The train and bus stations are 350 metres away. Average score from 53 guest reviews: 7.2/10. Nice sized room, breakfast was good and sufficent. Great location and great breakfast. Very comfortable room. Prima Frühstück und individuell eingerichtete Zimmer. Zentrumsnah und Abholservice vom Flughafen. As instalações do hotel são muito boas, confortáveis e bem mantidas. O staff é muito atencioso. O hotel está nesse momento com nova administração que promete recuperar a qualidade das instalações tornando-as ainda mais confortáveis. Personal war sehr freundlich, bemüht und unkompliziert was die wünsche anging. Frühstück war sehr grosszügig mit allem was man braucht. Diese Unterkunft ist für den kurzen Aufenthalt definitiv zu empfehlen. O melhor acolhimento durante essa viagem até o momento...muito atenciosos e cheio de cuidados conosco...o melhor chuveiro, super quentinho para os dias de frio...pessoas encantadoras que recebem super bem...super recomendo...só amor! A equipe é muito atenciosa, todos educados e dispostos a nos atender da melhor maneira. A localização é ótima, perto de tudo. Bom custo benefício. Jardines de Uyuni is 400 metres from the bus and train terminal. Rooms are styled with lively colours and rustic décor. Wi-Fi is free. Hotel Jardines de Uyuni has rooms with cable TV and heating. Average score from 316 guest reviews: 8.4/10. Staff was very friendly and helpful. The rooms are charming and the entire hotel is very neat. The restaurant is very modern looking but retains a nice and warm feel. Stable hot water ,comfortable bed room and the staffs have prepared breakfast and taxi for us when we check out @ 4:30 am. The welcome, the tea as we walk in and the amazing beds/shower and breakfast! We loved this place. The hotel, staff, location were all great. I would definitely stay there again. Nice and warm hotel in Uyuni. Heated and comfortable room. Ideally located only 600 metres from the famous Uyuni Salt Flats Hotel de Sal Cristal Samaña offers accommodations in Colchani. All rooms and beds in this unique hotel are made out of salt. Free WiFi access is available. Average score from 80 guest reviews: 7.7/10. Service of staffs was great! They helped us a lot and always paid attention and asked us if we needed anything. A bed was big and very comfortable. The desolation of hotel was very nice as well. The hotel were under construction when we arrived. Something that they hadn't "warned" us of when we booked. However, the owner did compensate us with a free 4 course dinner in the night and were very kind to us. Definitely worth a visit!! The staff very kind and made sure, we had a great stay. At night they gave us water warmers to put in your feet, so we can relax. Breakfast buffet fantastic ! Beautifully designed hotel! The bed was very comfortable. The room was warm and spacious. Amazing location, nice view of the salar, well appointed rooms. But it is COLD at night (outside of your bed!). Good location and nice staff except the driver who picked us up from the airport. The hotel is original. The checkout was at 11am but they let us stay until 5pm which was nice of them. The hotel is beautifull, the location incredible, decoration ideas and resources max!!! Nice sheets, super nice feather bed and feather matrress pad! Wonderful food and very accommodating cook. Very helpful staff. El Cristal Samaña es un hotel único en el mundo, todo es de sal: paredes, muebles, el piso, etc. Es confortable, temperatura agradable, buena atención. La vista desde el hotel es unica, sólo se observa el altiplano, el desierto de sal. En el hotel además hay alpacas que le dan personalidad a la estadía en el hotel de sal. También cuenta con una boutique de artesanías y recuerdos para que los visitantes puedan llevar algo de sal del lugar. Altamente recomendable. Completely made out of salt, Hotel de Sal Sumaj Rijchariy offers accommodations 4 km inside the Salar de Uyuni, near Colchani. Free WiFi access is available and guests are served a complimentary breakfast daily. Average score from 23 guest reviews: 6.6/10. The location is great, decoration beautiful, Don Jose the man in charge does everything to make your stay a great one. Very good chef too! NOTHING...from the outside it looked unfinished...under costruction with no windows. 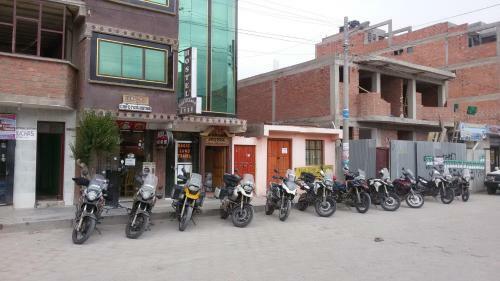 The only thing good about this hotel is its location: close to the entrance of Salar de Uyuni. Es un Lugar autentico, se puede caminar al salar y a Colchani, se preocupan por sus huespedes. La ubicación cerca del salar de Uyuni y la construcción del edificio. Conveniently located 300 metres from the train station, Los Girasoles Hotel offers accommodations in Uyuni. Free WiFi access is available and guests are served a complimentary breakfast daily. Rooms here are all fitted with a private bathroom. Average score from 39 guest reviews: 6.2/10. En el hotel en sí mismo es muy cálido. Cada detalle, cada adorno. Muy bello. A cama era confortável. A TV a cabo e internet bons. Die Lage war in Ordnung, das Haus machte einen freundlichen Eindruck. Tambo Coquesa Lodge offers pet-friendly accommodation in Chantani. Free private parking is available on site. Towels are featured. Guests can enjoy the on-site restaurant. The property also offers packed lunches. Average score from 15 guest reviews: 0.0/10. In the dry season the salt flat is a hallucinogenic white landscape. In the rain it is mostly submerged and will show a perfect reflection of the sky. These are created from a collection of different minerals from runoff from the surrounding mountains.